Topics: Sororities And Fraternities, Undergraduate Schools, Test Prep, Study Abroad, and Fraternity/sorority. Tranquil Hosting Inc (North Carolina, Raleigh) is the location of the Apache/2 server. Its IP Number is 66.219.20.34. 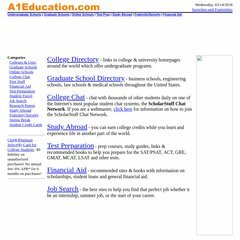 It has 5 nameservers, including ns3.scholarstuff.com, ns0.scholarstuff.com, and ns1.scholarstuff.com. PING www. (66.219.20.34) 56(84) bytes of data. A ping to the server is timed at 52.8 ms.